This thread is for discussion of TAR 17 confirmed or very likely locations based on spoilers, not for speculation or wish lists please. Pending the opening of the new episode threads, I'll be including all new promos here! We believe that TAR 17 will be departing from an EAST COAST city and traveling in an easterly direction. Once we are sure that the race is safely underway and that the starting line has occured, we will release more info on the start city and the believed destination city. Until then, watch those tweets! 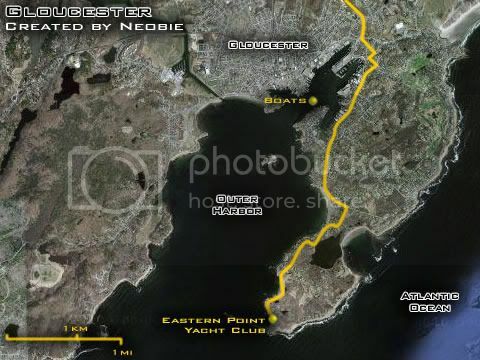 The Gloucester Sea Jacket Marine Paints Manufactory puts the boats in the straits between the Inner and Outer Harbors. Stonehenge is near the city of Salisbury in Southern England. To newbies joining us this season: welcome! A lot of information will come in over the next few weeks and it's easy to miss stuff or get confused. If you need a quick refresh, you can check out the first post of the Timelines thread -- it is updated pretty regularly. Have fun! Where did the STONEHENGE info come from, London may still a transit point. If i may ask, were did the Stonehenge info come from? It's called information that they have and we don't (at least not until they publicly share it). UK Airports are not closed. London's two major airports Heathrow & Gatwick have delays due to the British Airways strike. Salisbury is about 20 mins from Heathrow. Salisbury is about and hour and 20 mins from Heathrow. Road seems to be the most feasible method, as both train and bus stops are a few miles from Stonehenge. *wonders if WRP might have arranged for access for the teams? There's no decent Stonehenge webcams I could find; the few search hits I got led to joke sites. I freaking live here and it went under my Nose!!!!!!!!!!!!!!!!!!!!!!!!! There were webcams somewhere in the area when Doctor Who filmed part of its finale for the current season in Stonehenge earlier this year. You may need to check for locales around Stonehenge and not at Stonehenge. I can't believe some people didn't know what Stonehenge was haha! Are there any ways of 'watching' Stonehenge? Anyone from London?